Travis Touchdown is back, but he's in some unfamiliar territory, as Shacknews goes hands-on with Travis Strikes Again at this year's Game Developers Conference. Travis Touchdown is a lot like the average player. He's grown up on different video games, he knows what to expect out of different genres, and he often meets his problems head-on with a Beam Katana. Travis Strikes Again: No More Heroes puts players back in a familiar role. But while they'll play as Travis Touchdown, they'll be playing across different types of games within this game. Shacknews went to this year's Game Developers Conference to try out the latest entry in the No More Heroes series on Nintendo Switch. This demo took both myself and Asif Khan through the world of Electric Thunder Tiger II, one of the games inside the Death Drive Mk-II console. 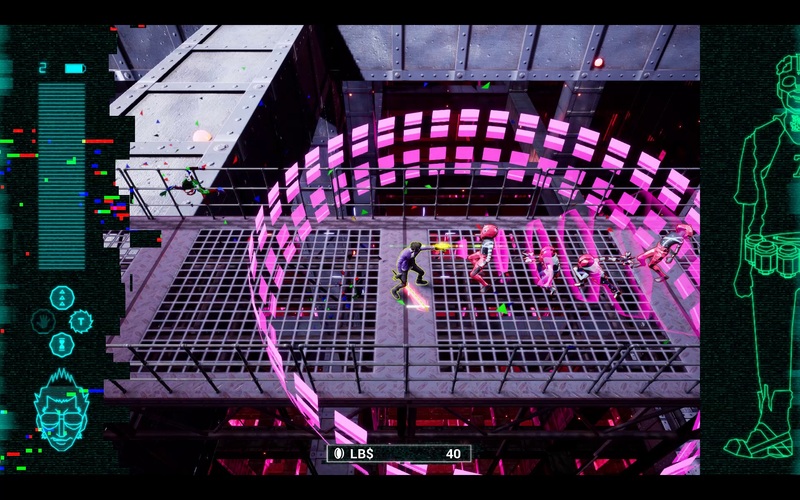 Those accustomed to the No More Heroes style of hacking and slashing may feel at home here, but there are a few twists. This portion of the game is played with a top-down perspective, with Travis and Badman slicing away at rogue "bugs" that pop up throughout the demo. The combat is solid, even if the perspective wasn't ideal. While Asif and I often had no problem plowing through enemies, the camera sometimes got obstructed by environmental structures. Both characters have a variety of basic and heavy attacks, which are often more than enough to take out the high number of bugs that pop up. They can also perform some special attacks by utilizing the L Button or a tandem attack by positioning themselves to each side of an enemy and holding the R Button. Special moves have a cooldown meter, but normal attacks won't always maintain their effectiveness. The Beam Katana has its own battery meter, which needs to be recharged regularly by holding down the control stick. Keeping the Beam Katana charged was particularly helpful against the boss, even though he was intentionally powered down. In fact, the dialogue made all kinds of fourth wall-breaking wisecracks in reference to this being merely a demo. The boss showed off a few of his patterns, but intentionally held back and went down in short order. Continuing to break the fourth wall, the boss made direct references to the press members present at GDC while also noting that he'll make his return at PAX East. 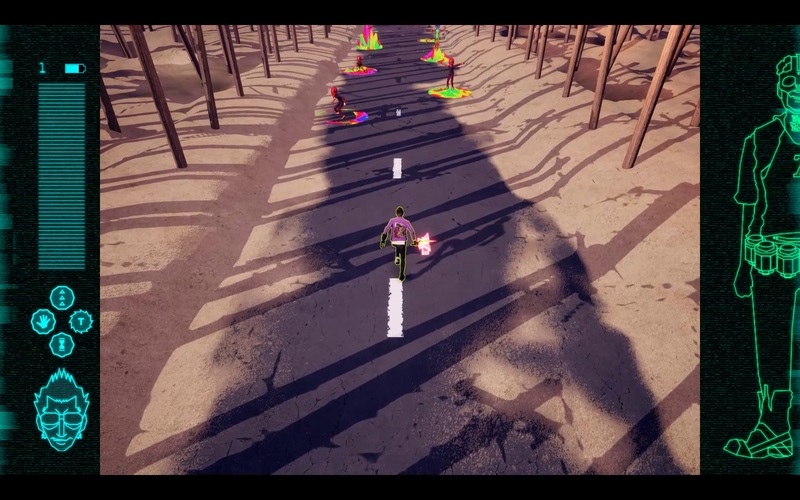 The GDC demo for Travis Strikes Back felt like the smallest of slices of what players should expect from developer Grasshopper Manufacture. But from what was present at this year's show, the game looks to feature solid action, along with quirky references and occasional crude humor. Yes, this crude humor includes save toilets. Look for more from Travis Strikes Back at PAX East, as Grasshopper Manufacture aims to release it on Nintendo Switch later this year. Did Travis call out Lola? That’s all I want to know.